We have a broad range of experience as a commercial building restoration contractor in Columbia, South Carolina. 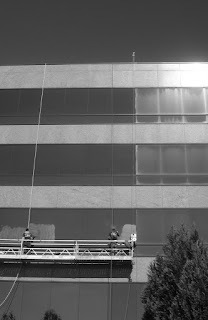 Our commercial restoration portfolio includes any exterior surface in the commercial real estate industry. We have been labeled as commercial building restoration experts by our peers, our clients, and other commercial restoration contractors. Weatherproofing services include keeping moisture and air from passing through the exterior envelope. Weatherproof coatings may be applied to particularly porous building materials in order to better protect and maintain the envelope. Commercial weatherproofing in Columbia, South Carolina is cost effective and reliable due to our commercial weatherproofing services. Other weatherproofing applications include caulking control joints, caulking window frames, and wet glazing. On large scale restoration projects, these areas often fail resulting in large amounts of water presenting itself on the interior of the window systems. Why Choose Our Building Restoration Company?